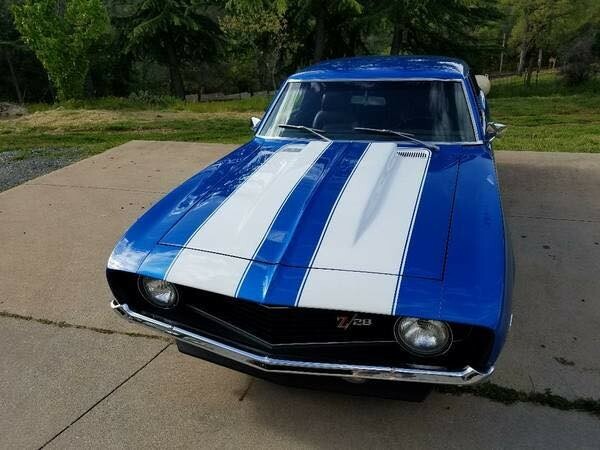 Now available by The Motor Masters is a 1969 Chevrolet Camaro Z-28 Clone for sale. 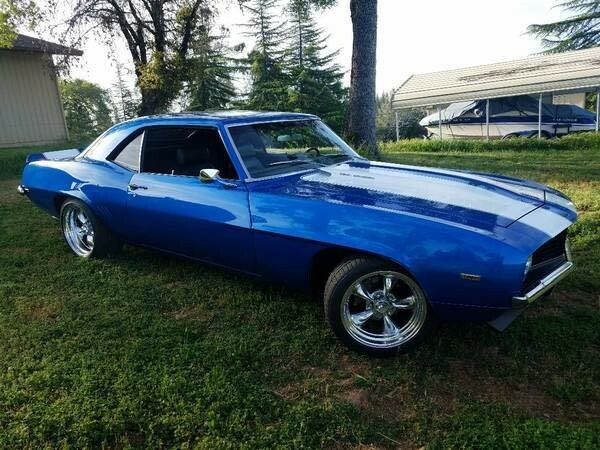 A well-defined blue classic muscle car is always going to be a recipe for success, but this 1968 Chevrolet Camaro has even more going for it than that. With some serious power under the hood and several upgrades, it provides a driving experience very much on a par like any other. 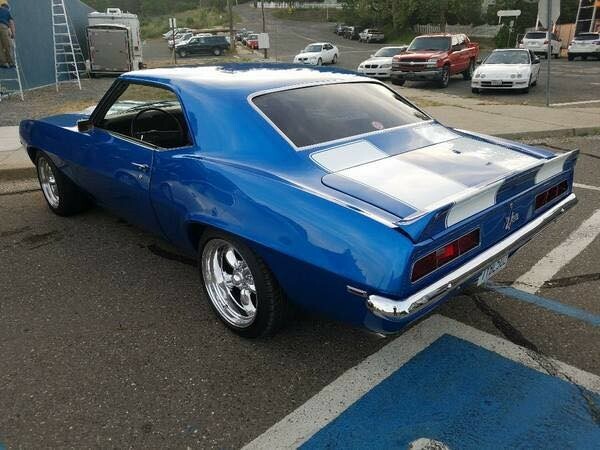 When this Camaro rolled off the assembly line, it took a blend of inspiration and craftsmanship to transform it into the ultra-bold street machine it is today. Its blue and white backdrop is nice and even and has a strong shine. Get up close and you won’t find anything to diminish your enthusiasm, but you will notice some great details. The combative hood scoop adds aftermarket prestige and really blends well with the car’s other features. 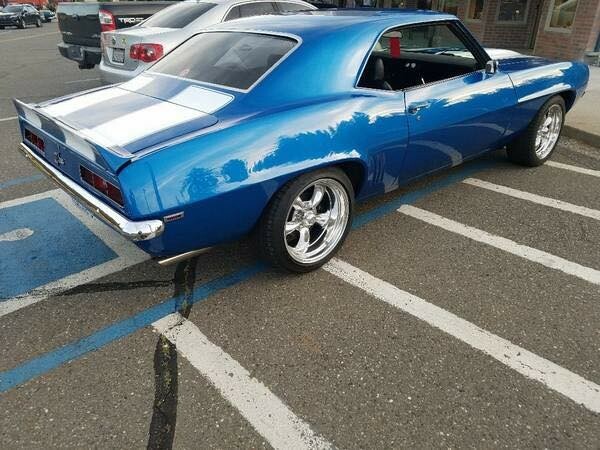 There’s plenty of fit and finish on display to accompany this Camaro’s high impact look – it’s well aligned from front to back and you’ll find a new windshield sitting up front, along with clean glass surrounding the rest of the car. 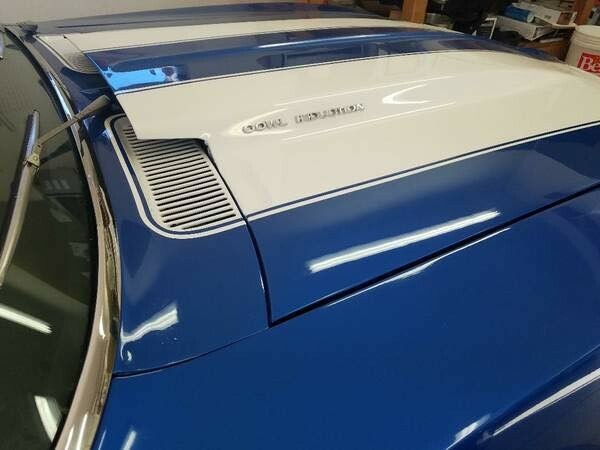 The badging really stand out, but the remaining chrome is securely in place – both bumpers are unblemished and level, and some well-focused attention to the rest of the trim can bring the rest of the exterior to top form. 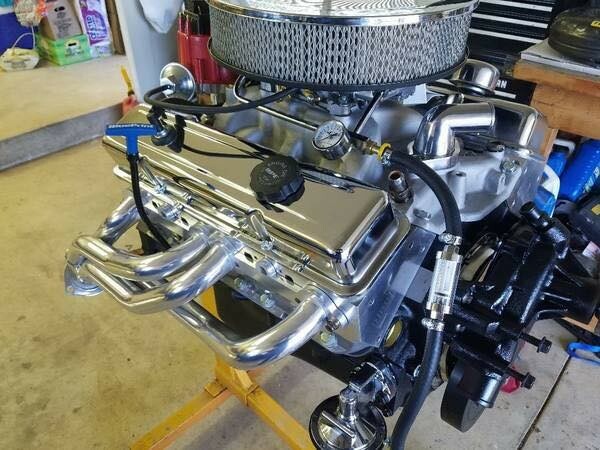 Has a 383 Stroker Engine with 450 HP. 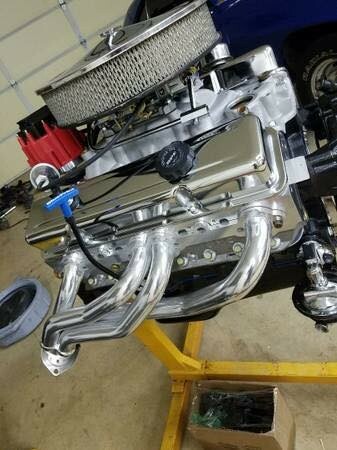 2000 miles on engine. 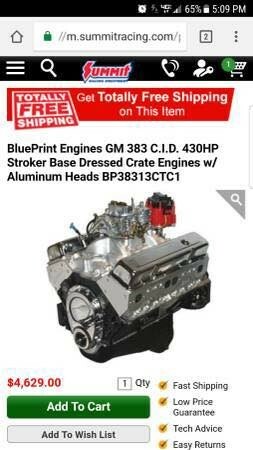 Part # BP38313CTC1 summit racing engine with 3 year warranty specs on engine look up part #, auto with 350 transmission, 2000 mild stall, 10 bolt posi, big block alum. 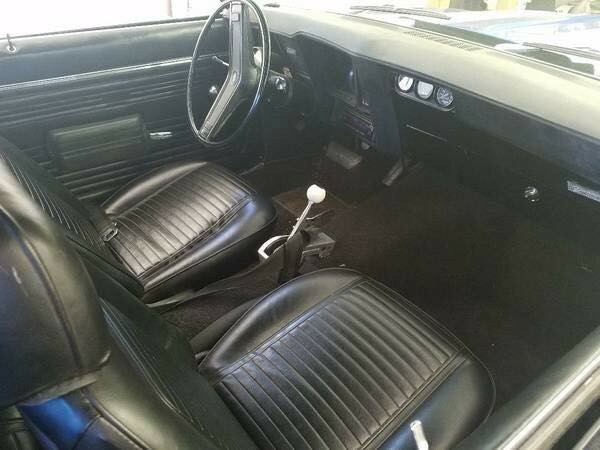 radiator, torque thrust wheels with new tires, electric fan runs at 190* all summer, kyb shocks, stainless steel exhaust, all lights, turn signals, windshield wipers work excellent. Very fun car to drive and own. 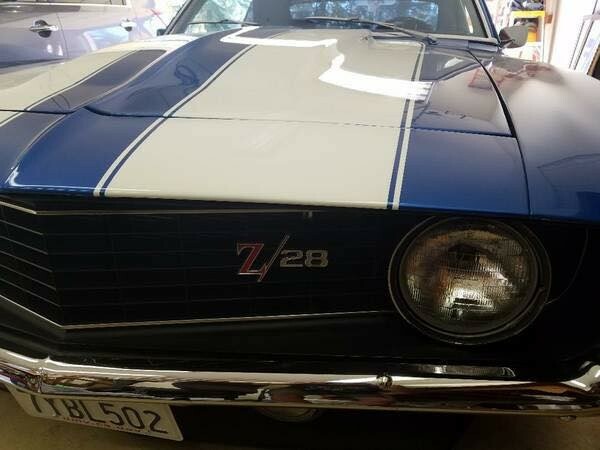 So if you are looking for a nice Z-28 clone that is full of upgrades, this is the one to buy. 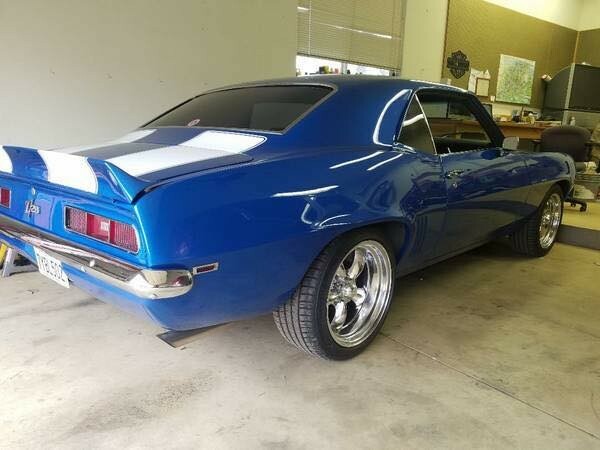 Lots of HP under this muscle car. Take to the car shows and show off to your buddies. Give us a call TODAY!